If you’re a cycling enthusiast, it’s likely that you’re willing to travel in order to reach a great cycling destination. Most cities across Australia offer paved biking trails, but they aren’t always easy to get to without driving to them. That’s when you need a good bike carrier. Bike carriers allow you to take advantage of all the best bike trails, even when they aren’t situated near your home. If you’ve ever thought about buying a bike carrier, this article details four benefits you should consider. Bike carriers help to protect bikes by securely holding them during transport. The alternative is to jam bikes into the space in the back of your car. When you do this, you can end up twisting the handlebars and turning the wheels and pedals in ways they aren’t designed to turn. This messes up your brake calibration and can even permanently warp your bike’s wheels. With a bike carrier, all of this twisting and turning can be avoided, so when you arrive at your destination you won’t have to worry about your bike being out of alignment. It’s much easier to transport a bike with a bike carrier rather than shoving the bike into the back of your vehicle. In addition to being easier, it’s also much faster to use a bike carrier. Bike carriers are designed to save you time and aggravation on a day when all you really want to do is enjoy a nice bike ride. Using a bike carrier can also help to protect your car. Think about all the money you’ve invested in your car. If you choose to travel with your bike in the back, you’re not treating your car with the respect it deserves. Most of the time when people try to stuff their bike in the back of their car, the fabric on the inside roof of the car becomes damaged. Either the rubber of the tyres leaves black stains across the fabric or the fabric rips due to contact with the handlebars. 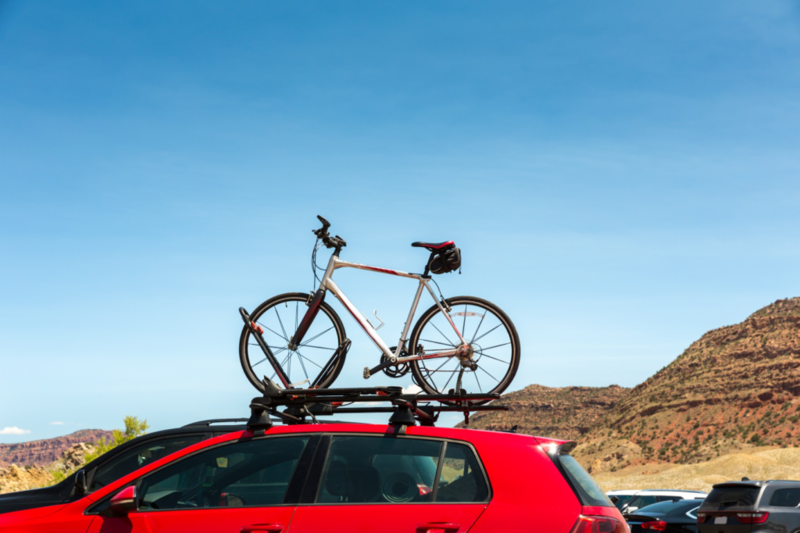 With a bike carrier, you can avoid causing any damage to your car. One of the biggest reasons to use bike carriers is for the purpose of safety. It’s much safer to use a bike carrier when you consider driver visibility. Even if you put down the back seat of your vehicle to store your bike while traveling, this will likely still impair your visibility. You may not notice it while you’re loading up the car, but you’ll notice it when you look in the rear view mirror or go to check your blind spot. This is a huge danger that can be avoided with the use of bike carriers. If you’re not the only member of your family who rides, you have even more reasons to get a bike carrier. Bike carriers often allow you to easily and safely transport two or more bikes to your biking destination. 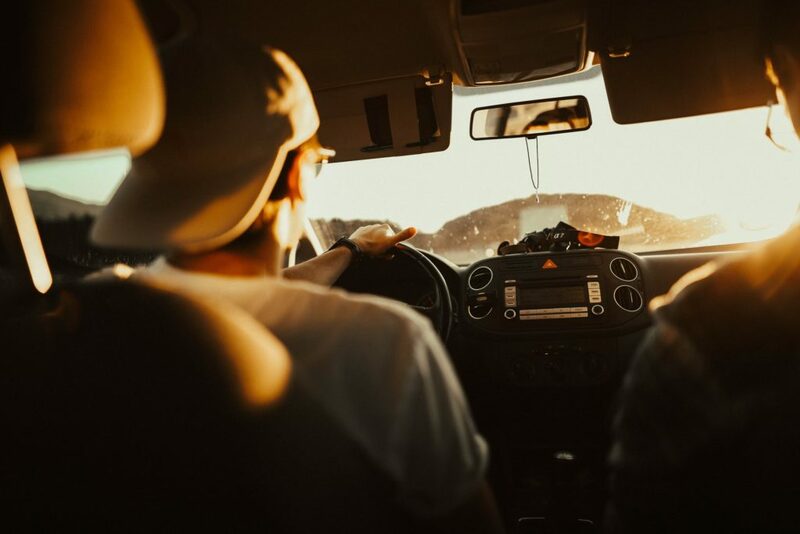 Road trips are packed with indelible thrills and delightful memories especially when you put in a bit of effort to make the travel experience more worthwhile. However, they can take an unpleasant turn if you’re reckless with the driving or haven’t put in the time to maintain your vehicle for the journey ahead. Keep the following pointers in mind when you embark on your road trip for a safer and brilliant trip. The very first thing about a road trip that comes to your mind is the vehicle you’ll be traveling in. What exactly is your ride? Is it in good condition for a great road journey? Is it comfortable and reliable? If you want to avoid accidents, you need to have your vehicle properly checked by a professional mechanic. Make sure all important things like the tire pressure, lubricants, brakes, batteries, and engine are inspected in detail to avoid any unpleasant moments on the road. Keep your car clean and pack essential items like a first aid kit, extra pair of batteries, windshield lubricant, jump cables and a flashlight to deal with emergencies. The absence of a backup tire or battery can lead to troubles if you get a flat tire and your phone dies on the way. In case of an accident, you would need the services of a professional injury lawyer. I advise you to hire an attorney from a professional law company like Khan Law Firm for proper guidance. While you’re on the road, having a fun talk or noshing on snacks in your car with the family or friends, it’s easy to get distracted. Understand that the life of others on the road is as important as yours, so it’s mandatory to strictly follow the traffic regulations and avoid speeding and unnecessary overtake attempts. Pay attention to the road conditions and watch out for careless drivers on the road. Make sure you stay away from them. Do not change lanes abruptly or engage in other activities that might divert your attention. Whether you’re going on a road trip for travel photography or for a family vacation, safety should be your top concern. Always plan your trip for the daytime, so you don’t have to drive in the night time. At night, the vision is not too clear and there are more chances of an accident. If you have to travel in the night, make sure the headlights are working properly, you feel energetic and not sleepy, and you drive within the defined speed limit.